Phytophthora, pronounced ‘fy-toff-thora’, is an introduced pathogenic water mould also commonly known as ‘root-rot’ in Tasmania. It is one of the worst invasive plant pathogens in the World and in Australia is known as a Key Threatening Process that can severely degrade vegetation communities and kill susceptible plants. Phytophthora needs warm moist soil conditions to thrive. This results in its distribution around Tasmania being limited to below 700m and prevents it from infesting low rainfall areas such as the Tasmanian midlands. Dense forest canopies that shade the ground keep soil conditions cooler, which prevent the mould from affecting wet forest and rainforest communities. Heathland moorland and dry sclerophyll forests are highly affected – areas around the coastline of Tasmania. Phytophthora feeds on the root and basal stem tissue of living plants, which will eventually weaken and kill the host plant. In Tasmania there are 181 plant species that have been recorded so far as being hosts for phytophthora. The effect of the mould can be dramatically different from plant to plant. For example button grass, while being a host for the mould, appears to be resistant showing no signs of the disease while the white waratah is killed so rapidly and may not be able to regenerate in infected areas. The drastically different responses by the host plants means that, in some instances an area where phytophthora is abundant may look to be completely unaffected. A monoculture can also occur where a resistant plant, such as the button grass, is still able to grow and survive while other more susceptible plants die off. 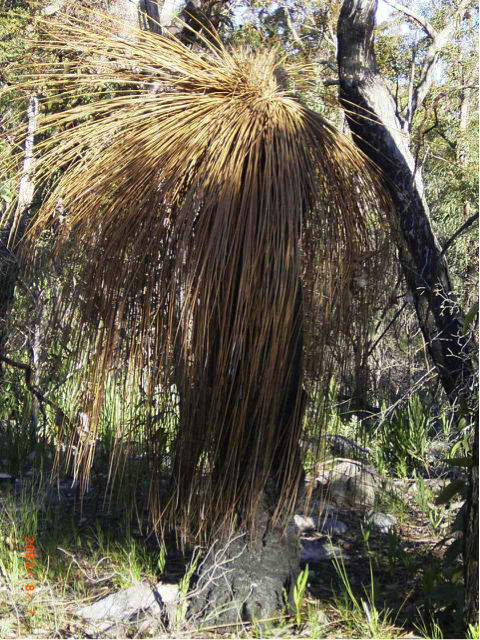 One of the most easily identified and observed plants that are affected by phytophthora are the grass trees. It is unlikely for grass trees to survive in an affected area, which can completely change the vegetation structure. Once infected, grass trees will collapse dramatically. Areas such as Mount William NP and Douglas Apsley NP are examples of places where grass trees have died in massive numbers. Next time you’re heading out bush… double check your gear is squeaky clean! GTX is an extremely thin membrane layer of expanded polytetrafluoroethylene (ePTFE) more commonly known as Teflon! The membrane has over 9 billion pores per square inch…. Giving Gore-Tex it’s waterproof, windproof and breathable characteristics. For use in products like jackets and pants, GTX is bonded between a high performance lining and an outer fabric that has been treated with a durable water repellency (DWR). The DWR prevents the main outer layer of the product from becoming wet – causing the water to ‘bead’ off the outer layer. It is a common misconception that, once the DWR wears off, the jacket is no longer waterproof. DWR is the jackets first defense, it wears off fairly quickly but the waterproof membrane is the main barrier. Although water may not bead off the jacket anymore you will still be kept dry and protected by the inner membrane. Being a waterproof barrier is not the only thing GTX is good for. Due to the porosity of GTX the body’s own tissue is able to grow through the material making it extremely useful in medical applications such as sutures, vascular grafts, heart patches, synthetic knee ligaments and as membrane implants for glaucoma surgery. eVent is also made of ePTFE like GTX but the pores of the membrane are lined with an oleophobic and hydrophobic (oil and water hating) chemical. This allows the membrane to remain air permeable. For this reason, eVent has been tested to be almost 200% more breathable than Gore-Tex. The down side is that the membrane isn’t as protected and durable as GTX and requires much more TLC to maintain it’s high performance. eVent is used a lot in waterproof compression bags; because of its amazing breathability air is able to be pushed out through the fabric making the bag as small and compact as possible while still being waterproof. These are fantastic for sleeping bags when out on a multi day hike, rafting, kayaking, really whatever pursuit you’re doing they are great! Hydronaute is a house made membrane created by Mont. Well known for its durability and breathability. The membrane is laminated to a face fabric using innovative technology to create superior weatherproof-ness and comfort. The face fabrics that Mont use are crucial to the performance of their garments. Mont has access to some of the most advanced face fabrics on the market that provide increased abrasion resistance, tear strength and pinhole resistance. Mont Hydronaute products are durable, bombproof wet weather garments made specifically for the Australian bush. Waterproof membranes aside, it also comes down to the style of jacket. There are GTX cycling jackets – super thin and lightweight, not suitable for bushwalking. There are 3-layered knee length super hardy Mont jackets – not suitable for backpacking and travelling minimal. When it comes to choosing the right jacket have a good think about what it is you’re going to be using it for and find the jacket that suits the activity. You may end up with 2 or 3 different styles or decide that, instead of buying brand new for a once off trip, hiring as suitable jacket would be a better idea. Exposure to sweat, dirt and chemicals in sunscreen & deodorant can have a negative impact on your waterproof garment. So, to keep it performing at its best, it’s important you clean and care for it properly. I wouldn’t recommend washing your jacket after every single use; there is damage that can be done in over-washing. Personally, I would wash mine after a multi day hike but only if I actually wore it in some pretty full on weather conditions. Maybe you just need to hang it up in the sun to air out for a little bit instead of doing a full wash. Always use a specific GTX/waterproof approved liquid wash. Something like Grangers or Nikwax. Read the bottle for instructions on how much to use – usually it’s 2 capfuls for the first item and then 1 per item after that. Wash your garments on a gentle cycle with no hot water. Once done, hang on the line to air dry until just damp and then put it in the dryer on a low heat setting to finish off. The heat from the dryer will help to restore and prolong the DWR coating on your jacket. At the end of the day, the technology in the different waterproof membranes is fantastic. Choose the right jacket for your adventure (or hire one! ), treat it well, and you can't go wrong! The Freycinet Peninsular on Tasmania’s east coast is one of the oldest and most visited National Parks in Tasmania – Celebrating its 100th birthday in 2016. Wineglass Bay is the obvious main attraction and the majority of people chose to take the path up to the Wineglass Bay Lookout. If you’re like me, and try to do whatever possible to avoid the crowds, then the Freycinet Peninsular has got some truly spectacular spots to visit – all it needs a bit more effort. The Freycinet Peninsular circuit will take you around the edge of the Hazards Mountain Ranges – an amazing range of pink granite. Pink granite is unique to the eastern coastline of Southern Victoria, the Bass straight and the east coast of Tasmania all the way down to the Tasman Peninsula. The cause of the beautiful pink tinge in the granite is iron oxidisation impurities in the feldspar (one of the components that make up granite) and a lovely orange lichen that grows on many of these rocks. Following the trail from the carpark, look out for the turn off for the Hazards Circuit. The track starts off in the forest and begins to steadily climb its way up before emerging into the open, rewarding you with amazing views of the Great Oyster Bay. The trail follows the edge of the Hazards for a little while before descending down onto the northern tip of Hazard’s beach. For the next 2.5kms the track simply follows the beach south. Stick to the hard, wet sand and keep an eye out for ancient Aboriginal middens in the sand dunes to your left. Pacific gulls, pied oyster catchers, hooded plovers and many other sea going birds call this beach home. The southern end of Hazards beach has a campsite with a toilet, making it a great spot to have some lunch and a swim! From here it’s back into the forest for another 3.5kms. Look out for superb fairy wrens, flame tailed robins and green rosellas as you enjoy the peaceful dry sclerophyll forest that is often full of such gorgeous intricate wildflowers. You will eventually emerge onto the northern tip of Cook’s beach which is only a short distance from camp! Cook’s beach camp is stunning and very well equipped with composting toilets and a rain water tank. Depending on the time and how you are feeling, a 4km walk past the old hut will take you to Brian’s bay – an absolutely stunning and isolated beach. You may want to take a whole day to head out to Brian’s and explore the beach! From Cook’s beach camp the trail heads back to the northern tip, before heading towards Mt Freycinet & Mt Graham. There is a bit of an uphill slog for a while now but eventually you will get to the sadle between Mt Freycinet and Mt Graham..... drop your bag here and go for a wander up Mt Freycinet. The view of Wineglass bay, Schouten Island, Maria Island, the whole Peninsular is absolutely astounding and so worth the extra walk. Unfortunately there is no easy option for Mt Graham... you have to go over it, and with your pack too. A steep rocky climb will get you to the top and then follow the trail along a beautiful plateau filled with buttongrass before beginning your decent down to Wineglass bay. There are a couple of small, very unreliable streams you could collect water from on the way down but I would suggest carrying extra from Cook’s beach to get you through the night and the next morning. The next day you get to walk all the way along the beautiful world renouned Wineglass Bay, from the southern end all the way up to the northern end. Keep an eye out for dolphins and whales who love to use this bay as a rest stop on their migrations north. From the northern edge of Wineglass bay the trail begins to climb up to the lookout – if you get up early enough you may have the lookout all to yourself before the bus loads of tourists arrive! Follow the trail down the other side of the lookout and back to the carpark. If it’s a nice day I would highly recommend taking the climb up Mount Amos – from the top you will be able to see where you have walked for the past couple of days and get those award winning photos of Wineglass Bay! So, if you find yourself with a spare weekend and the weather is looking good – do yourself a favour and go check out the paths less travelled on the stunning Freycinet Peninsula! Okay, so you have the usual suspects – a good hiking pack, some comfy boots, a warm sleeping bag, a sleeping mat, a head torch etc….. You can’t leave home without these items full stop. But sometimes, it’s nice to have a little bit of ‘luxury’ when you go hiking, something that makes you really appreciate the little things in life. That’s one of the best things about going bushwalking – learning that you really can live simply out of what you can carry on your back! I’ve been a keen bushwalker about 8 years now and, as you go along you learn what you need and what you really don’t need out there. There are the essential items, and then there’s a bunch of things that aren’t… but almost should be, if only to make you happier at the end of the day. · - A good pillow! Nothing is more important than getting an amazing nights sleep after a big day on the trail. I have tried and tested so many different ‘pillow’ options in my time. From using a spare stuff sack and packing it with clothes, to super small blow up pillows. I now have what I consider the most amazing pillow ever! I have the Exped Mega Pillow, it weighs 170g, has a fleece liner and you just blow it up. It was a serious game changer in my hiking life. But hey, what’s right for one may not be right for another – but I do recommend, take the time to find the perfect pillow for you. · - A book to read, to write, to draw, to colour etc. Don’t be that person who gets into camp, sets up, eats dinner and goes to bed as soon as its dark because there’s nothing better to do. Nowadays everyone hikes with their phones to take photos – download a book onto your phone, or find a nice lightweight one to carry with you. Even just having a notepad to write down a little journal of the day, or if you’re artistic draw a picture! If nothing else it could be a conversation starter with other people in the campsite. · - I like to take something that I love to snack on.... lets face it, hiking food can be fairly un-inspiring, give yourself something to look forward to at the end of the day, when you get to the top of that hill or once you cross that river. Everyone needs a little bit of motivation sometimes. My favorites to take are macadamia nuts, passion fruit, dried mango and peach….. a hip flask of port..
· Last, but definitely not least… a thermos! I fill it up in the morning so I can enjoy a cuppa at lunch without having to dig out my stove! You can have all the essentials to keep you warm, dry and safe out there…. But don’t forget, sometimes it’s nice to have something to keep your spirits up after a hard days slog!